The Finnish gods of rebirth have sent an omen – live photos of the Android-powered Nokia C1. To be clear, that's Nokia Nokia, not the Microsoft sub-division. The handset looks pretty much just like the renders we saw earlier. 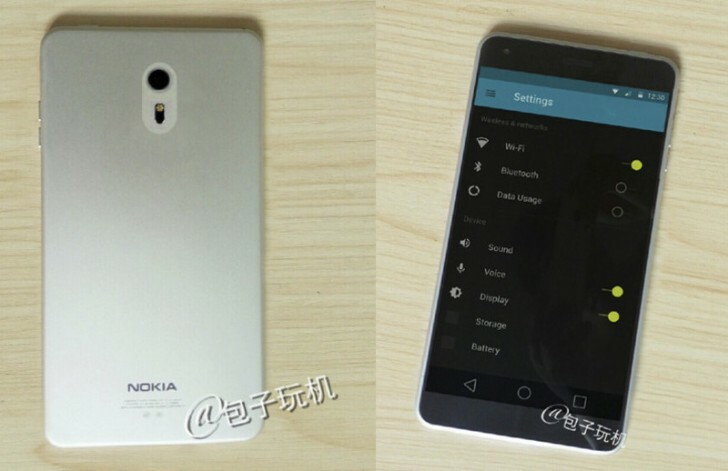 Interestingly, the screen is now reported as 5" 1080p, rather than 720p, which was the original rumor. Also, it allegedly runs Android 6.0 Marshmallow (pretty vanilla by the looks of it) on an Intel Atom chipset (with 2GB of RAM). From the photos it's still not clear if the phone is made of metal or plastic. Of course, the phone won't come out until next year. That's when the company is scheduled to make its return to the phone business. However, R&D and manufacturing will be based in China. Fake. Proof: Its using this RRO layers theme. https://play.google.com/store/apps/details?id=bi­tsykolayers.MILOS&hl=en I doubt Nokia would make an exact copy.